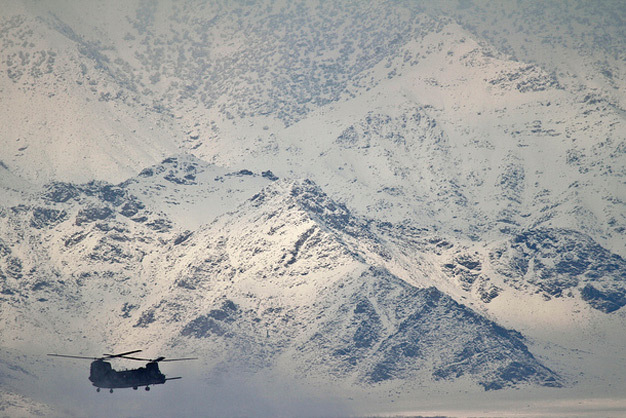 A US Army CH-47 Chinook heavy lift helicopter takes off on February 4, 2012 from Bagram Air Field, Afghanistan. The primary missions for Chinooks are troop movement, artillery emplacement, and combat resupply. US Air Force photo/Tech. Sgt. Matt Hecht.